A simple virus infection is all it takes to render it useless. Or, there are times when your administrator has actually disabled Registry Editing. When you try to open the Registry Editor in one such computer, you are likely to receive the“Registry editing has been disabled by your administrator” error. Due to this error, it is impossible to remove this restriction using the Registry Editor itself. This article suggests some workarounds for re-enabling Registry editing in a computer running Windows XP, Windows Vista, Windows Server 2003/ 2008, Windows 7, Windows 8 or Windows 10. Click on Start. Go to Run. Alternatively, use Windows key+R keyboard shortcut. Navigate to User Configuration/ Administrative Templates / System. In the work area, double click on "Prevent Access to registry editing tools". In the popup window, encircle Disabled and click on OK. Normally, Registry Editor will be immediately accessible. If it is not, restart your PC. Group Policy Editor is not available on home editions of Windows. Symantec has created a small .inf file which can be installed to remove restrictions on modifying registry keys at the click of a mouse. Most viruses, spywares, Trojans or worms normally affect the shell\open\command keys which allows them to run each time when a file of specific type is executed. Normally, they associate their execution with .exe files. UnHookExec.inf not only enables registry editing but also removes such associations. Just save UnHookExec.inf and install it by right clicking and selecting install. Installing the file will not show any popup or notice box. Copy the code given below and paste it. Save the file as EnableRegistry.bat. Run this file as Administrator if you use Windows 10, Windows 8, Windows 7 or Windows Vista. In Windows XP, simply open the file. CMD will flash for a second and then disappear. This indicates successful execution. Log Off and Log Back On. Doug Knox has created a VBS Script which allows users to easily enable and disable the Registry Editor. Just download regedit tools.zip, extract the VBS file and double click on it. 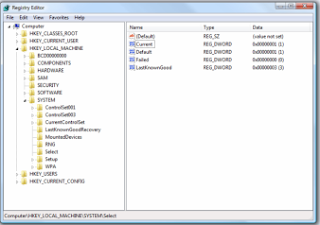 This script reverses the current state of the Registry Editor. If registry editing is set to enabled, this script will disable it and if it is disabled, it will enable it. If the above link does not work, copy the code given below in Notepad and save the file as *.vbs or Registry Editor.vbs. After running the VBS file, if Registry editing is not enabled, try restarting your PC.